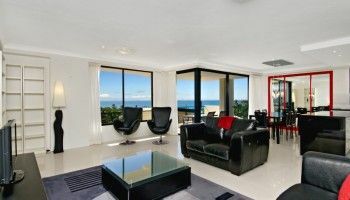 Visitors looking for Caloundra long stay accommodation need look no further. 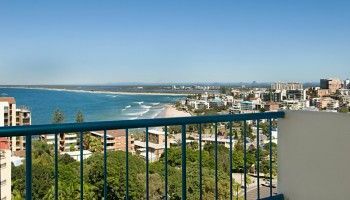 Burgess@Kings Beach is ideal for extended visits, whether it’s for a long holiday, some in-between accommodation for a relocation, a reason to escape the southern Australia or New Zealand winter or business that requires a few more days in Caloundra. We have the art of the long stay perfected here. Burgess @ Kings Beach has ultra large apartments that guests rarely tire of. Unlike much of the holiday accommodation on the Sunshine or Gold Coast, these apartments are quite different. With genuine and considered use of lots of space, feeling boxed-in never happens here. Especially with the expansive views looking out over Kings and Shelly Beach, you get an especially strong sense of place — almost like the feeling of home. You’ll find the Caloundra CBD is not far away either. If you like mixing business with pleasure there’s a really good number of restaurants in the business end of town with a quite few other dining highlights dotted around the Esplanade, Golden and Moffatt Beach. The beaches are excellent as well. Depending on what you’d like to do, there is likely a beach to match the conditions you’re after. 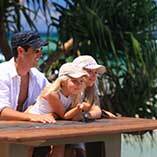 For a complete family experience, Kings Beach is the go to destination. 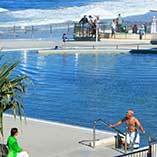 The Kings Beach foreshore has a 25-metre sea-water lap pool, children’s swimming pool and wading area. With shade sails and lots of sunblock the kids can play happily for hours and you afford to relax your guard a little with a lifeguard on duty. The Caloundra Rock Pools at Kings Beach are also nearby and offer kids a fantastic opportunity to explore the sealife that remains on the low tide. Surfers will usually find big waves on The Reef at Moffatt Beach, but check the daily surf reports. For body boarders Dicky Beach and Neill Street are hard to beat. But keep your eye on the wreck at Dickies. Just to switch things up, or down, Shelly Beach at low tide is also another excellent place for the kids to fossick in the rock pools. 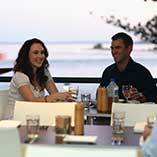 Visitors looking for Caloundra long stay accommodation really need look no further. Leaving Burgess @ Kings Beach becomes very hard to do once you let Caloundra get under your skin. Book now for your longer escape.